My husband bought me a book from flee-marked, some time ago,about how to make your own snaps/dram. It is a Norwegian book written by Oskar Steingrimson. And it appealed a lot to me,since all the herbs used in the book as basis for the snaps,are great medicinal herbs. It is basically the same way that you would make a herbal tinctures,a mother tincture,and then diluted with some more of the strong alcohol and maybe some water to take down the alcohol per cent. Or till you think it tastes just right for you. 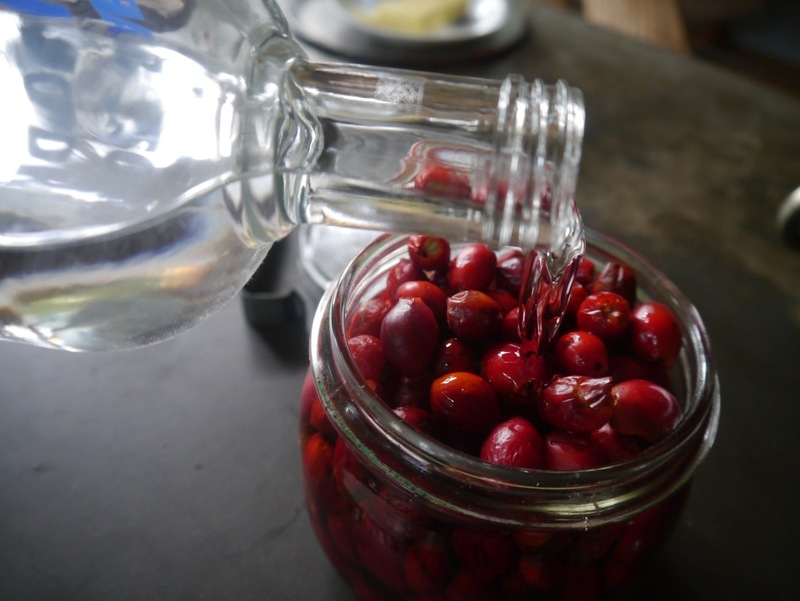 I had forgotten about the book,till this fall,when I for reasons I now don't remember, happened to have a lot more rose-hips than I could use,and ended up pouring some vodka over the rest in a jam-glass.like making a rose-hip tincture. I kept tasting the tincture,to see how it developed,and found it tasted really good! And then one day I had bought some Norwegian,strong tasting fermented fish for dinner...that kind of fish that really need a shot of snaps to go with it. As we did not have any aquavit ,I thought we could try my rose hip tincture. I put it in the freezer a little ahead to make sure the snaps would be ice cold. From my point of view,it tasted wonderful with the fish. We had been drinking it undiluted,like a herbal tincture. Now I remembered the book and started reading it with renewed interest. 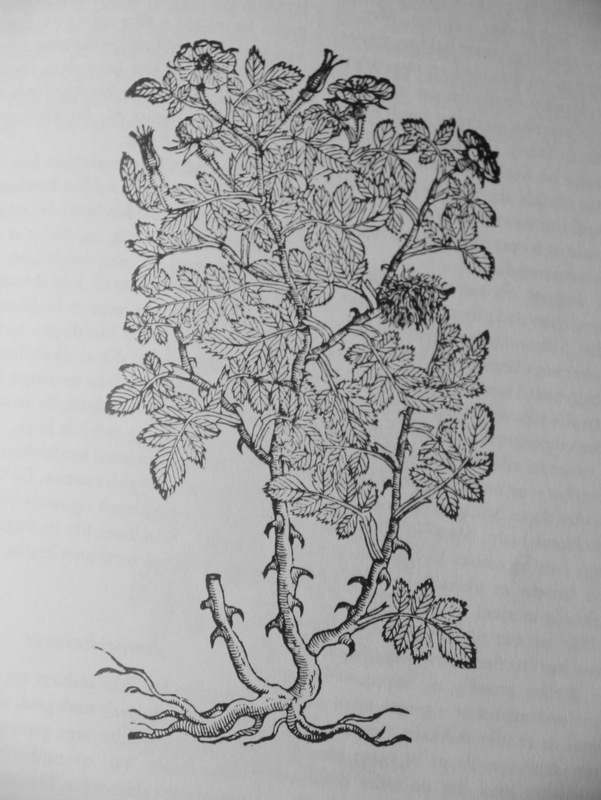 In the book the tinctures are all diluted with some more alcohol,the stronger and more bitter herbs more than the mild and sweeter tasting herbs. You fill a jar with with ripe rose-hips that are cleaned ( take off the flower rest and stems)and lightly dried. (I had harvested them a few days before I poured the alcohol over them..maybe that is lightly dried? )Pour over the 45% alcohol(I used 40%,because that was what I had) Close tight with a lid. Then you strain the alcohol off the berries, and then for one part mother tincture you mix in 4-5 times alcohol. If you have used 45% alcohol,you can now mix in a little cold ,boiled water,so that the drink has about 38% alcohol.You now have the ready snaps!